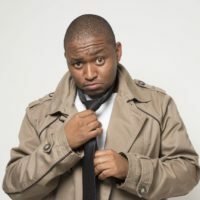 by Bogosi Motshegwa (@Thinkerneur) I’ve not left advertising (no-one ever does; those who claim to just don’t know their comeback date yet) — I’ve left agency strategy. There are two issues at play: ad agencies are dead (they just don’t know it yet); and strategists or planners are under threat. If agencies are dead, the biggest casualty isn’t creative departments but, rather, strategic planning, which is being dealt a huge blow (creative ideas will always be around as ideas are currency, whether or not they’re based on sound strategic thinking). I’ve deliberately used “dead”. But aren’t ad revenues still a thing and aren’t thousands of people still employed? Yes, the advertising matrix is too huge to dismantle at once but the process has begun. Those in denial will definitely be out of business, and those who concede will plan accordingly to set themselves up for a lucrative future. Ad agencies are in trouble. I hope they know and are aware of this. Agencies that continue to be driven by creative departments aren’t going to last because creativity is an expensive commodity. If your agency isn’t driven by strategy and data, you’re selling dreams, and clients in today’s world can no longer afford to invest in dreams. Ad agencies aren’t organised optimally to deliver on clients’ best interests as they’re still governed by agency interests, one of those being creative awards. Strategy is being dealt a huge blow because it’s undervalued unfortunately. Planning in advertising agencies is so grossly underused, it’s sad. Most ad agencies talk about the value of strategy but there isn’t anything being done to at least invest in its so-called value and longevity. It’s nobody’s fault, although I’d like to blame someone or, better yet, someone to take responsibility and be accountable. For the longest time, creative heads in ad agencies have been leading the conversation — not that they shouldn’t or can’t but, when a dentist is leading a healthcare convention or forum, the whole conversation may end up being centred on oral care, whereas it should be about health care and wellness overall. Chief creative officers (CCOs), executive creative directors (ECDs) and creative directors (CDs) are leading the conversation, and they are leading with the creative, and not the bigger-picture, lens. I might be making assumptions but, if we’re honest, where does a CCO’s real interest lie? Show me one ECD or CD who isn’t interested in winning awards. Winning awards and creating work that they can brag about in their portfolios is important to them because how else do they showcase their creativity, worth or value? If how creativity is measured based on how many awards won, where do you think their priority lies? It’s rare to find creative work that’s driven by long-term strategic thinking, based on sound thinking, that’s meant to have impact and add real value to not just the awards cabinet but real people and clients’ bottom lines. Clients are now looking for solutions and not creative ideas; they want to play a meaningful role because they are in it for the long haul. No brand is ever created with the intention of dying but, if brands continue to be built with no strategic intent behind them, they’ll suffer the same fate as Toys R Us and the like. Strategy is evolving; it’s just that ad agencies are slow to reconfigure the planning departments to match client needs. We must move away from strategic platforms that lead or feed into a creative platform. That’s old strategic planning. Strategy must lead business conversations. I admit, it will take time for agencies to think beyond strategic platforms, and more solutions. I believe that strategy shouldn’t live in untouched folders but in everything a brand does, both practically and tangibly. It should be at the forefront of any brand marketing conversation, which includes creative executions. By focusing on strategic platforms that lead to creative platforms only, strategy as a result becomes hugely underplayed, and honestly, disrespected. This is unfortunate because strategists are who clients should be in close contact with; strategists need to be at the forefront and drive brand growth conversation. Brands must be built beyond briefs. A strategist’s role is to find opportunities for clients and brands. Brand-building and -growth shouldn’t be confined to official briefs in the system; strategists should be encouraged to find opportunities premised on strategic intent. The future of a brand doesn’t lie in a TVC but in how it connects to people, solves problems, and has a real impact on both people and the environment, especially the client’s bottom line. Brands and companies need to be prepared for the future and agencies need to start helping clients become future-ready and ask and answer pertinent questions such as: What does our future consumer look like? What will the company look like in 20–30 years? We need more human and data-led strategic solutions; planning inside agencies doesn’t allow for this — roles get reduced to sitting behind a computer and Googling stuff, and also being told what and how to think. It hasn’t been good for my health. It’s been draining. Soul-draining. Nothing is worth losing yourself for. This is actually a life lesson. Don’t compromise yourself for anything that or anyone who doesn’t add value to your life or happiness. No-one is as important as a creative, which is ludicrous because, if you remove any department from the ad-agency model and value chain, there won’t be any creative work to produce, anyway. Only one department is encouraged to be creative and, as a result, the only thing open is the office plan. Some brands and companies have shown that ideas may come from anyone and anywhere, and therefore they encourage thinking. The irony in advertising is that you aren’t actually encouraged to think creatively. Those who know, know. Bogosi Motshegwa (@Thinkerneur) truly believes that advertising can really change the world. He believes that brands, marketers and ad agencies can do even better branding building and advertising. He shares his thoughts on the industry and sometimes has unconventional views. A former committee member of AMASA, an Advisory Council member, a guest speaker and lecturer at Vega, Rosebank College and Red & Yellow, he also does speaker management at TEDxJohannesburg. He is currently a freelance strategist and has founded Thinkerneur, a brand consultancy firm, and is also the co-founder of Melanoid Éclat (for finding black entrepreneurs). He contributes the monthly column, “Adnalysis”, which analyses adland from a strategist’s point of view, to MarkLives.com. Leave a Reply to Bogosi Motshegwa Click here to cancel reply. I really agree with that your opinion in this article Bogosi especially the line, “We need more human and data-led strategic solutions; planning inside agencies doesn’t allow for this — roles get reduced to sitting behind a computer and Googling stuff, and also being told what and how to think”. Too many agencies be it PR/Digital etc are focused on the BIG Idea or creative idea based on what looks cool and could work for a brand/company. Too few agencies conduct people based research to guide the strategy to build a sustainable brand for the future but create cool ads that are short-lived. Hi Fezeka, thanks for the feedback. It is highly unfortunate I think. Even more sad that this happens across the board as you mentioned. What most don’t realise is that building for the future is what we need to be doing, and not fulfilling short term goals and ambitions. We have to keep encouraging for future fit solutions. Brands and companies that aren’t thinking about the future will not be able to feature in it. I hope that you are finding or making headway in ensuring that your team things long-term. I’m not in that field but from observations, class interactions and your sentiments placed it all into perspective. Your articles are very educational and I enjoy reading them :) I’m getting myself ready for the advertising world. I agree with a lot of Bogosi’s observations, having been the victim of having to panel beat strategy back to fit creative, to tug a forelock at the ECD’s misguided perceptions and prejudices, to be told that “we sell advertising” – not some intellectual crap. But, there are exceptions. An ECD once told me I “put pictures in his head” which was an amazing compliment. However, strategy is a bit like the Italian Mama in the Fattis&Monis commercial – wheel us into the presentation/pitch to impress the client, show that we can and do research and think about the problem, then let us moulder away until the next presentation /pitch to justify the “strategy led agency” or some such BS. Which is why the agency model is near death, why the fat cat consultancies are now getting into advertising. The likes of Bain, PwC, DeLoittes, Accenture etc. Why?Because they have credibility (or had) with the real decision honchos – not the marketing people, but the CFO’s and the CEO’s. Which means us strategists have to change tack. More and more of us (I think) are getting involved with the client, acting as an adjunct to their marketing people, helping start ups. Its not just advertising – its all of it. How could I tell an ad agency client his problem wasn’t advertising but his distribution, or his pricing, or his product itself – and expect to be retained by the agency? And heaven help us, its now all about digital strategy (which is strategy, but through the “media of the day”) So yes, Bogosi, keep stirring it. Maybe we will be heard. And yes, I still love what I do! Agency model needs to be reconfigured completely. I remember at one ofnthe agencies; my solution was not to advertising but to rather do an internal service focused or driven campaign, because the problem was not awareness nor brand affinity, but the issue was the last yard, where it is critical, sales. But I was brushed off because my solution meant that there would be no TVC. If agencies make their money through solutions that require production and big budgets, regardless of what the problem is, the answer or solution will always be TV, radio or comms. We are in trouble with the big consultancies eating our share of the pie. And you are absolutely right; we’ve lost credibility because we are not sitting at the Exco table. We are in trouble. This is so true for many of us Strategist. Well thought out and articulate. Thank you! I don’t think you should give up! there are always agencies and clients that believe in what you are saying…you just have to look for them…. Agreed. So do you work with or for one of those agencies that get it? Maybe you’ve just been working with the wrong kind of creatives, the kind who are as dead as the traditional agency model. There are a fair few out there who would kill to work with a strategist who can lead and help them develop creative work with substance and long-term relevance. Here’s another hard truth, not all those with the title of ‘strategist’ are actually capable of this. Yes not all strategists are capable of contributing to creative work , that, well, works – it’s a question of inspiring each other, and believing in each other. Point is that not all creatives don’t listen.Those that do, create work that wins awards and adds to the client bottomline. Mutual trust – which is earned. thats why we work in teams… and the best teams are diverse in skill, experience, race and gender…I wrote an article on this… I feel very passionately about it! Of course I do!I was there from 2000 to 2012, with a short stint from 1998. @Fiona, please share your article, I’d love to read it. Absolutely true regarding your last point, Rob. True. Yes, perhaps you are right also about the kind of creatives I worked with, but this seems to be true across the board and for many strategists alike. I was sitting in a client meeting and was actually told the following: “Yeah it really is an age old debate, does creative lead strategy, or strategy lead creative?”. There is no debate, strategy always leads creative! More and more brands are bringing creative in-house and creative agencies are becoming redundant. If your agency isn’t a strategy-first agency, you might as well close your doors now. Hi, Shaun, I couldn’t agree more. Hahaha, let them have the debate and let’s see how long the debate lasts. Hahaha. Brand strategy is informed by business strategy. So there can be no debate, strategy must lead creative. But I would be careful of making stereotypical statements such as “creative agencies are becoming redundant”. That is not true. They are changing and those who don’t change will be left behind. And not just because of this debate. 52% of companies who were in the Fortune 500 2 decades ago, no longer exist. Absolutely. You are on the money, we cannot discount those agencies that are making an effort. Those who are not adjusting will feel the pain sooner or later.